A back injury can cause anything from mild discomfort to major paralysis. If the injury has been caused as a result of another person or organisation's negligence you may be able to make a claim for personal injury compensation. The cases detailed below highlight various different circumstances under which claimants have suffered back injury and subsequently made successful claims for compensation. Accidents at work, particularly in the construction and manufacturing sectors, often involve falls from height and crush incidents which can cause significant bodily injury. Road traffic accidents have the potential to cause severe spinal damage, as well as more minor injuries such as back strains. Individuals who have slipped or tripped as a result of an organisation or employer's negligence can also make a claim for compensation. 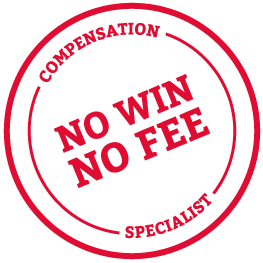 While slips and trips sound fairly innocuous, compensation awards are made on the individual criteria of each case and the post-accident prognosis of the claimant. Where doctors and health practitioners have failed to diagnose or treat back problems and this has led to permanent damage or disability, solicitors who specialise in medical negligence claims will be able to gather the expert evidence required to ensure the highest level of damages are sought. Remember, these cases are only a guide. The amount that you are awarded for your pain and suffering will depend on your particular injuries, how they have affected you and your recovery from them. Please call our lawyers FREE on 0800 0891331 for a more detailed assessment of your case.